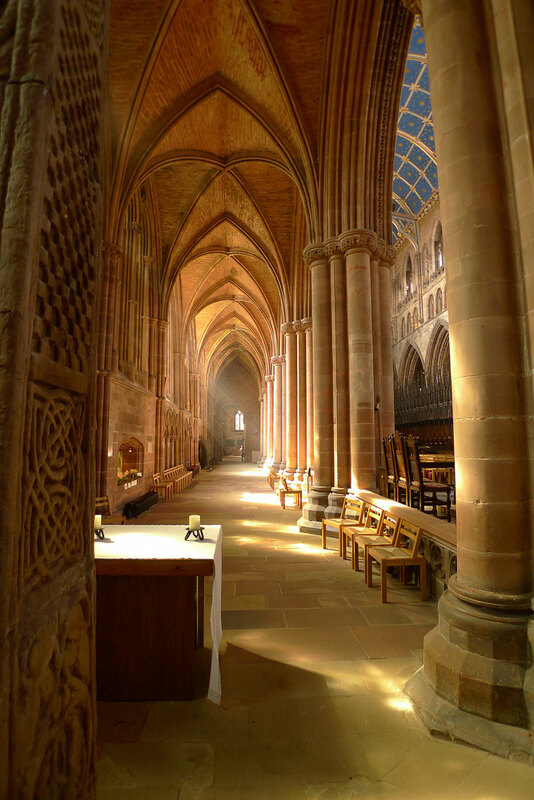 Looking the South aisle behind the choir. On the left of the picture you can see a full scale plaster cast of the Bewcastle Cross. You can see a photograph of the real thing on the history page.